Worth every second of the wait! Yes, I have been pining for Isla and The Happily Ever After for close to three long years, but as Stephanie Perkins proves… perfection shouldn’t be rushed. It was absolute bliss re-living what reading a Perkins book does to me… I had the goofiest smile on my face for most of the book… I giggled like a little girl… I gasped liked a love struck teenager… and I just about broke down in tears during certain moments of heartbreak. I.FELT.IT.ALL!! 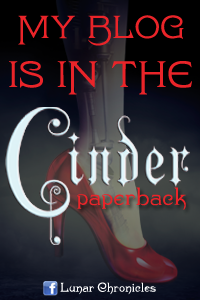 Thank you Stephanie Perkins for going through hell and high water to deliver this book to your fans. I understand the road to publishing Isla and The Happily Ever After was not easy, but to feel the effort and heart you put into this book made the reading experience even more meaningful. Again... Thank you. In this latest Perkins novel, we get the pleasure of traveling back to Paris to experience Isla Martin (pronounced eye-LA) and Josh Wasserstein’s senior years at SOAP, School of America in Paris. Isla has had a huge crush on Josh for three years, and a chance meeting in Manhattan prior to the school year starting puts these two characters on each other’s radar. When they begin to explore a relationship, several obstacles fall in their paths, and a happily ever after becomes more and more unlikely. One of the things I enjoy most about Perkins’s writing is her ability to transport her readers into the time and place of her characters. Having never been to Paris, Perkins makes the journey seamless. I can literally picture the streets of Paris, the scenery of Spain, the cafes, parks, architecture and balconies that were in the novel. It was amazing! In addition, Isla and Josh were an absolute perfect pair! I loved their features, flaws and faux paus… That’s the beauty of Perkins’s writing. She creates her characters with a meticulous blend of flawless and imperfect, which makes them both relatable and appealing. You get to see that in all of her characters because each one brings a characteristic that is unique and immediately likable. What's even more exciting is that we get to re-visit with some of our previous faves including Etienne, Anna, Lola and Cricket. Having them in this novel was a fun surprise! The drama in the book was steady and peaked at precise moments, which makes the reader feel completely connected to the characters. I enjoyoed how steadily we were able to fall in love with Isla and Josh before we experienced their heartbreak. Most of all, I loved the feeling of accomplishment and self-discovery each of them realized throughout the novel. 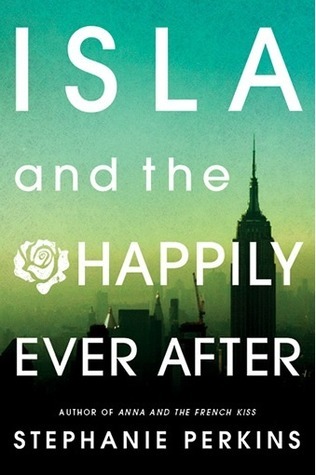 Overall, I have to say that Isla and The Happily Ever Afterwill probably land as my favorite YA Contemporary novel for 2014. But no surprise… Stephanie Perkins has always been able to put a smile on my face when I need it most. Gorgeous book that filled with heart! 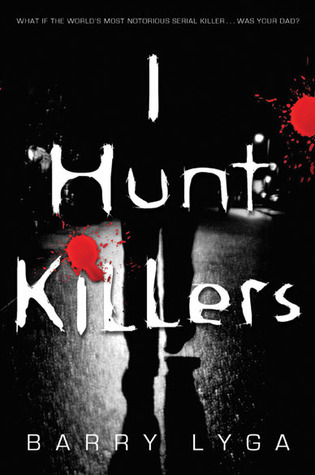 I Hunt Killers introduced the world to Jazz, the son of history’s most infamous serial killer, Billy Dent. In an effort to prove murder didn’t run in the family, Jazz teamed with the police in the small town of Lobo’s Nod to solve a deadly case. And now, when a determined New York City detective comes knocking on Jazz’s door asking for help, he can’t say no. The Hat-Dog Killer has the Big Apple–and its police force–running scared. So Jazz and his girlfriend, Connie, hop on a plane to the big city and get swept up in a killer’s murderous game. Well if there is one thing I have learned from this is that sometime serial killers will get sloppy when they think they have everyone fooled. This book is just like a serial killer. The first in the series was stealthy and quietly creepy while this installment is filled with plot holes and unbelievable stupidity...sloppy. In the previous installment we are left knowing that Billy has escaped prison and is in hiding. Jasper is back with his grandma and just trying to keep the press at bay. When a New York cop comes to get his opinion on a recent serial killer, Jazz is thrown back into this crazy and violent world. The book starts off super creepy. I mean we get the killers POV right from the get go and I just knew this book was going to be way more violent than the first. I wasn't wrong in that let me tell you. From victims being gutted, paralyzed, and eyeballs being taken it was definitely a gross ride. This didn't bother me though, yes it was gross but it gave the book a whole new level. I at first wondered if the gore was going to take center stage and the story fall off, but that didn't happen. No what happened was the characters took a weird turn and ruined the story. I'll start with Connie. WTH?! I loved her in the first installment! She was amazing as the girlfriend and she didn't take any of Jazz's BS. In this book its like someone hit her over the head with a TSTL bat! She makes incredibly stupid decisions and the whole time I just sat there reading her POV thinking why are you so stupid??!! I mean you are dealing with a major serial killer here! She knows what he is capable of, but does she think NO! She goes off to NY by herself to help Jazz because of course she has the knowledge to capture the killer. I mean she is an actor so why can't she play the role of detective?? It was just so horribly wrong and I hate that she manipulated her parents. I am happy that her parents where present and wanted to ground her and they did make every effort to stop her. She just pulled a TSTL scam and well I won't say what happens but man I have never been so happy with a cliffhanger before. I knew this one would have one so I wasn't surprised, but what did surprise me was that I was happy about it. I was waiting for a particular moment with her and when it happened I felt relief. I know I sound horrible and no I don't want her to die. I am just thankful for that cliffhanger because it will finally give her the scare she needs to stop thinking like she is Sherlock Holmes! Okay now on to Jazz. He was he Jazz from the first book, but he got sloppy and over confident too and that bothers me. I looked forward to him being this bad arse serial killer hunter and well he let me down. A lot of things slipped by him and I know that he is only seventeen, but I got used to him acting older and looked at him as older. After this book he is definitely seventeen. I really thought especially after the predicament that he was in in the first one he would have learned to look at all angles and not take anything lightly. He didn't learn! It really bothered me because again he is supposed to be all knowing. And when he did finally break the puzzle no one listened to him. He explained with detail what was going on and it was like everyone thought he was crazy. The cops go to him and believe every word he says right up until he breaks the case. Yep it was just too convenient, by having everyone think he was crazy pushed him to do stupidly careless things. I really wish the author would have stayed true to his character. Howie I don't really have any problems with I suppose. He is secondary character that has quirks. These quirks do get a little annoying at times, but for the most part I am okay with him. I am worried after his last stunt though that he has been hit with the same bat as Connie. Time will tell though. What truly baffles me is that I don't get why the author chose to add in all this extra stuff. The storyline definitely could have held its own without all the extra character stories. I didn't need to live inside of Connie's head to see where she would end up and I definitely don't get why I had to live inside of Howie's. It just doesn't add up and the story just didn't need it. I was more engrossed when Jazz was front and center. I will say that the killer reveal wasn't really what I was thinking. I don't understand where this story is going and I just tend to lean towards the author getting sloppy. Nothing connects and I am assuming its because there is a third book, but at this point I am so confused as to what game is actually being played. I am not sure I will be able to puzzle through all this nonsense. I think the author got cocky and got sloppy. He already had a fan base and so decided that he didn't need to work as hard to keep things organized just like his serial killer characters. This is all just my opinion and I am definitely going to read the last book in the hopes that the author tightened up his storyline and with certain characters in certain predicaments I am also hoping that Jazz takes center stage again. Chances are I'm always going to gravitate to a YA Contemporary. I like the realist fiction feels and this just has my name all over it. Hard not to think of a few of my favorite books that have hit the big screen and well, the story sounds like it might be as fun as reading a rag mag, so count me in! 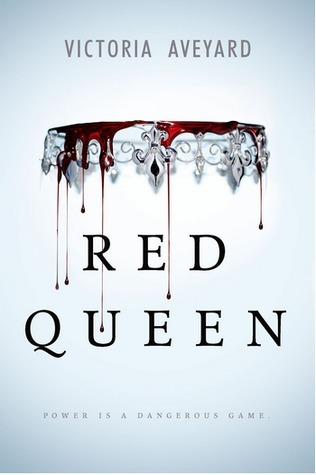 Mare Barrow's world is divided by blood—those with red and those with silver. Mare and her family are lowly Reds, destined to serve the Silver elite whose supernatural abilities make them nearly gods. 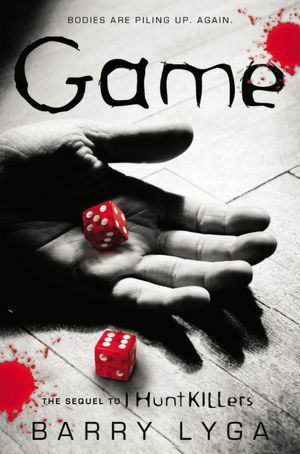 Mare steals what she can to help her family survive, but when her best friend is conscripted into the army she gambles everything to win his freedom. A twist of fate leads her to the royal palace itself, where, in front of the king and all his nobles, she discovers a power of her own—an ability she didn't know she had. Except . . . her blood is Red. "I'll be inside, if you need me." "I won't," I answer quickly. "Even if things go wrong, I won't get you involved." 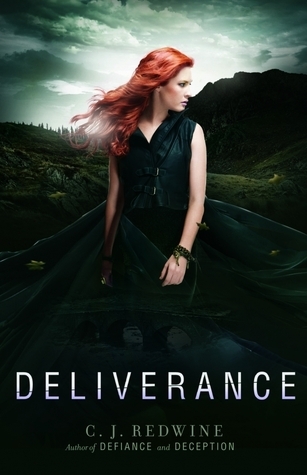 Deliverance is the third and final book to the Defiance trilogy. Told in alternating POV’s, Deliverance sure took me for one heck of a ride! 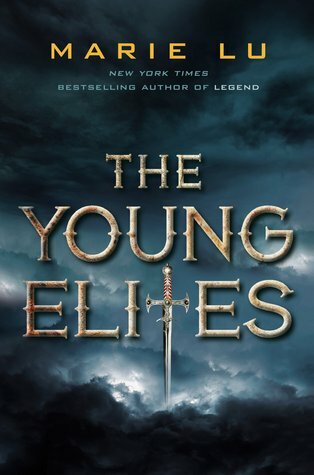 It was a satisfying conclusion and one that I think readers will be happy with. The story starts where Deception left off. Rachel is at the mercy of Logan’s evil brother Ian. And Logan and Willow are scrounging around to come up with some sort of plan to escape and get Rachel back and stop the Commander from calling the Cursed One and destroying everything. There are so many twists throughout this story and each character played a meaty role throughout, thrusting the story into a whole new level. I was a HUGE fan of Rachel and Logan’s from the get-go. The world in which they live is unlike anything I could ever imagine living in myself. Sadistic Commanders and fire breathing animals that erupt from the depths of the earth...and so many more involved who want all the power to rule the Cursed Ones and over the lands. C.J. didn’t hold back. 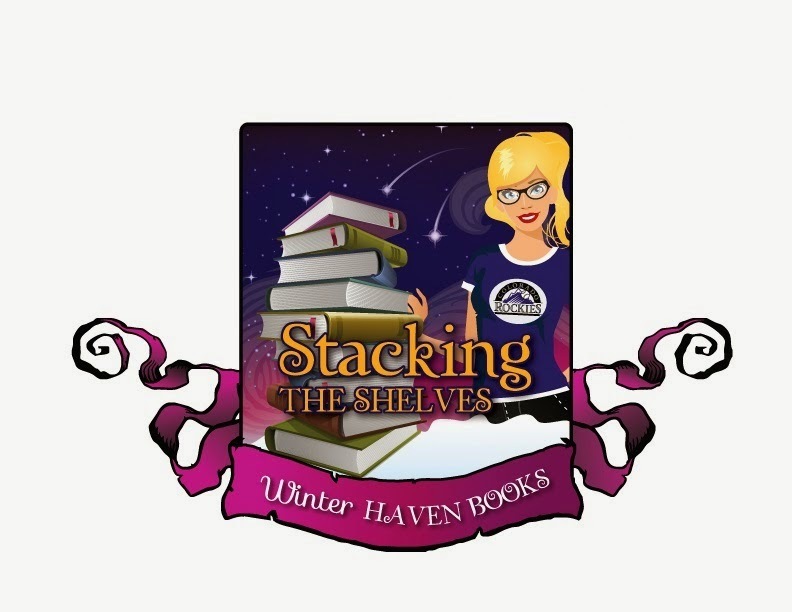 She plunged into the emotional turmoil of her characters and presented them openly for the readers to once again regain their emotional attachment to each one and to feed the hope that they will overcome the villains. So many lives and loved ones had been lost along the way, and it also gave Logan and Rachel something to keep that spark alive inside of them, to keep them on the path to doing what needed to be done. I have to say that Rachel is one heck of a protagonist. Despite what Ian had put her through, she held it together and never gave up. Logan was more complicated in this installment. He just learned of having a brother, then finding out he was evil on top of that made things worse. Not only that, but Ian had Rachel, and Logan worried endlessly over it. So much so, that I think it played with his logical thinking at times. He couldn’t focus when all he wanted to focus on was getting his girl back. I had been a fan of Willow and her brother Quinn from the beginning. They intrigued me so much. I acutally would LOVE to have a spin off trilogy on them alone. I think their culture was unique and the stories they told of their father, who beat them. I admired their devotion to Rachel and Logan. Despite Willow’s attitude, the brother and sister duo was one of my favorites throughout the trilogy. Without a doubt, anyone who has been a devoted fan of this trilogy will be very satisfied with the conclusion. I didn’t want to give any spoilers, especially since this is the final book. 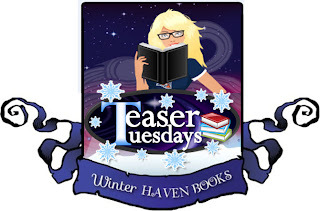 Be prepared for amped up action, drama, suspense, and some swooning. This people! This is the book I have needed in my life! I have no idea why I waited so long to read this! I Hunt Killers has everything I am loving right now in my reads! Serial killers, suspense, drama, blood, gore, delicious creepiness, and masterfulness! I loved every single second of this and yes I know that might mean I have a few problems of my own! I'm sure you have read before that this is like Dexter and well I haven't seen Dexter so I don't really know if this is true. All I know is that this was amazing! We have Jazz who has grown up being groomed by his father to be the next super killer. Billy Dent killed in the triple digits before he was caught and he tried raising his son to step into his footsteps. Jazz fights everyday to be normal and not who his dad wants him to be. When I new killer comes to town Jazz knows this guy is up to something not normal. After putting clues only he can see together Jazz realizes that this guy is copying someone very close to Jazz and he has to stop him. I loved how the story had both perspectives in it. I can't explain why I loved seeing the killers POV but I did. It was wild and just crazy, but it was an awesome addition to the story. I felt like the guy was right behind me!! I won't lie I had the killer pegged from Ch 14, but that didn't stop me from loving this. It just showed me how bold the killer actually was when he would make certain moves and it made me really keep my eyes peeled for him. What did surprise me though was the ending. I was so not expecting what happened and I won't lie it totally keyed me up for the next one. It is sure to be a bloody book! I really liked Jazz and his friends. He was a great character and I really sympathized with him. The only thing that got to me was how confident he was in his manipulations. I know he was groomed to be this way, but after awhile I didn't need to be told the ins and outs of how he got away with certain behaviors. All that really could have been left out. Other than that though I really loved Jazz. He has a tough road ahead of him and I can't imagine how will overcome what his dad hopes for him to become. I mean the details that he knows about serial killers is frightening! I have to mention Howie. Oh Howie he was a wonderful breath of fresh air in this gory book. He kept certain scenes a little lighter than they would have been otherwise I can't wait to see what he says in the next book. I also loved Connie. She stood up to Jazz at his weakest and showed him that he doesn't have to be a monster. She is one tough chick that I hope Jazz keeps around for a very long time. Barry Lyga has truly crafted a hair raising tale that will have me looking under beds for days to come! Bring on the sequel!! I wasn't quite sure what to think when I picked Falling into Place up. I was looking for a quick read for my road trip and this one fit and even though I am not really into contemporary at the moment I still grabbed it thinking if it didn't work at least it was somewhat short. Having taken a turn down the creepy genre lane I knew it would take a strong book to pull me in and I am very excited to say that this one did it. I am finding out that the normal contemporary formula just isn't working for me at the moment. I need more than a broken character and cutie across the street to pique my interest. 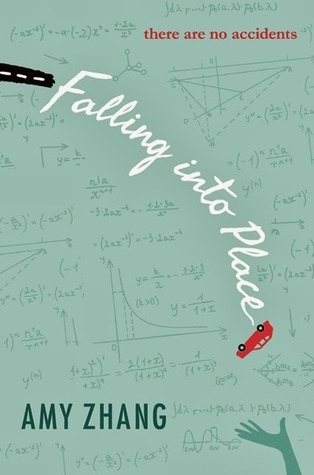 Falling into Place takes us down a road I haven't read before and I couldn't put it down. And for the first time even though I honestly couldn't stand the characters at all I still loved this to pieces. The writing and the underlining message in my opinion were so strong that the characters didn't need to be likable. If you know me then you know I never say this. I always have to like or at least feel connected in some way to the main character, but honestly I hated Liz. Yes I know I was probably supposed to feel sympathy for her, but I just couldn't. I'll get into all that in a minute, but my goodness Amy Zhang can write. Her story came alive and I just couldn't put it down. I wanted to know how everyone was connected, I wanted to learn what went through Liz' mind 5 seconds before the crash, I just wanted to know more. Zhangs writing is beautiful and I loved the addition of the imaginary friend. I will admit openly I had one as a kid and it really brought me back to that time when I needed one for various reasons. Such a powerful thing and emotion to see Liz battle her demons and know that her friend was right there the entire time. Okay so Liz why did I hate her? Well she was "that" mean girl in high school. We all had one and in this book she was the meanest I have ever seen. The things she did I just can't forgive. She didn't have to do those things, she wasn't pressured when she got to high school. 99% of the situations she caused all by herself and she ruined so many lives. Yes I understand what her own demons were and I can sympathize with her on those, but I can't let it go that she hurt so many people. I appreciated that the author made Liz open her eyes to what she had done, but I feel like Liz took the easy way out. I am by no means saying that Liz' decision was easy or that I know what it feels like to want to give up so bad and think the world would be better off without me, but I am saying that Liz was strong and she should have fought for her life. She deserved better and I think the people that she hurt deserved better. Liz' story was sad and my heart did break for her so please don't think I am cold hearted. I just would have felt more connected to her if her problems hadn't been self inflicted. She looked at her life and everyone she hurt she did it on purpose. Just not cool. So all that being said I still really enjoyed this book. Liz wasn't my favorite character, but I did find myself hoping that she would pull through. Again this takes a strong writer. If I don't care for a character I don't care whether they live or die, but I did want Liz to live. She needed to live and get the help she deserved. I don't think her answer was the right one and I wanted more for her. I absolutely adore Amy Zhang and I am definitely going to keep my eye out for her future books. This contemporary book showed me that not all contemporary books have the cutie and broken character I just have to dig through a few to find the gritter ones. Wonderful powerful book that really will open your eyes to how high school really is and the stresses that young people go through everyday. Oh and I didn't forget Liam. He was the cutie, but not really the cutie and you just couldn't help but love him. So I guess this story did have a cutie and a broken girl, but the story didn't focus on the two of them. This story was so much more than that and I appreciated that the author chose to make it more. 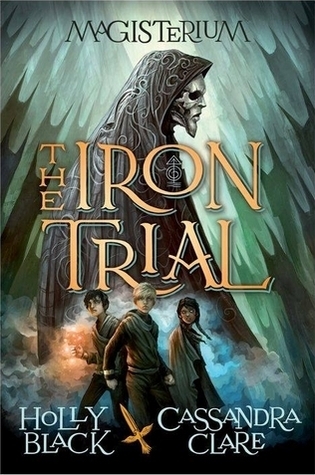 The Iron Trial, is the first book in the Magisterium series and what I believe is a strong and promising start to a brilliant dark magical world. I've read a few books by Holly Black and I'm already a mega-huge fan of Cassandra Clare's Shadowhunter world, so I couldn't wait to see what these two authors together would bring into the written world. I don't read very many middle-grade books, with only the HP and Percy Jackson books amongst my favourites, but the minute I heard that Clare and Black were tackling magic for kids, I knew I had to get my grabby hands on the first installment. This book was such a blast and instantly loved! First off, the storyline was made of awesome! Clare and Black took there time coming up with a fantastic story making it a shinny and new universe to want to play in. They make an amazing team. The writing is smooth, the pacing and flow of the story was perfectly pitched and I couldn't tell from one author to the next who wrote what. It was in-sync and blended strongly and beautifully throughout the entire length of the novel. There were some moments and similarities that did reminded me of the great boy wizard, but it didn't take anything away from my overall entertainment and experience. World will inevitably collide when writing about magic in a magical school setting, but I still think that this book is entirely it's own. I loved the concept of bending the elements of air, fire, water, earth and chaos with magical control. The history, secrets and prophecy were mysterious and alluring. The Devoured souls and chaos-ridden animals were a fantastical touch to the already dark and haunting setting and the Magisterium itself was filled with creepy wonderment. The moment I meet Callum, I knew I was going to love him. He's the kind of kid that makes life interesting and has a great voice and personality. Even though he has a bad leg and practically a social-leper at school, he still has this amusing sarcastic side to him that's funny instead of bitter. He's always been taught that the school is a place of monsters, and yet apart of him wants to believe it may be a good place for someone like him despite his fears and insecurities. Aaron is one of those great characters that is good, kind, supportive, loyal and believes in you no matter what anyone says. He's got the most to prove, but no one really to prove it too. Tamara was a bit cold and unfeeling at the start of the book so it wasn't always easy to like her. She's under a lot of pressure from her family to succeed , but eventually Tamara becomes her own person and I love what she brought into the trio. Together, Callum, Aaron and Tamara make an amazing team. They already have each others back during some of their more challenging adventures and have great chemistry and witty banter. There are also a lot of other characters that I loved, each of them bringing in the perfect blend of conflicts and friendships. It's gonna be a fun five years at the Magisterium with this lot. I really loved that ending. What a shocker! I was surprised we learned the big revelation at the end of this book, but I think it makes for a rather clever and intriguing turn of events. I think we're not getting the entire picture mind you, but still, it makes me wonder just how Callum will play this out in future books and how it will impact the other characters. Very interesting indeed. All in all, I couldn't have loved a book more! The twist and turns were crazy fun, gripping and unpredictable. The world building was remarkably creative, the writing was brilliant and these characters stole my heart from minute one. Fast paced and blast to read, The Magisterium is my new favourite world! First off, let me start off by sharing that I’m a HUGE fan of Colleen Hoover. I was fortunate enough to stumble upon her debut novels Slammed and Point of Retreat before the fandom gained any momentum. Top that amazing fictional journey with a personal experience of having the author contact me to express her gratitude and sending me a personalized copy of each book. I swear I immediately fell in love with this lady. Truly amazing. To this day, those two novels hold a special spot in my heart because of it being my first experience with New Adult and my exposure to a genuinely nice author. So to continue to see the success she’s realized with her other novels is complete bliss. At the same time, it makes it difficult to review her newest book without a touch of bias towards her that has me convincing myself before I even turn a page and meet her characters that I’m in love with anything she writes. That’s I think the biggest struggle I’ve had with the last couple of Hoover books, so it saddens me that I didn’t quite feel the excitement, bliss, and adoration for the story and the characters of Ugly Love. Were it another author, one that I didn’t have a past love affair with her writing, I think I’d have one of my rare moments of ranting about my feelings. However, in this case I’m going to take a gentler approach because I’m still battling with my feelings about Ugly Love and a huge part of me is disappointed that I’m not experiencing a squee-moment with Miles and Tate. In Ugly Love, we got to meet Tate, who’s studying nursing and working in a hospital as she finishes up her Masters. She’s hardworking, driven and pretty much the type of character I find it hard not to like. When she moves into her brother Corbin’s apartment, she literally stumbles upon a passed-out drunk Miles who is blocking her entrance into her apartment. They later have a less inebriated introduction and soon decide to enter into a “friends with benefits” type relationship...minus the friends aspect you could say. However, where Miles pulls out all of the stops to keep the relationship strictly physical and non-emotional, Tate starts to fall for this quiet, broken and distant character. However, Tate’s experience with Miles was truly, in all sense of the word, UGLY. The way she was treated by Miles felt so wrong and I struggled with that because I immediately came to like Tate, so I felt resentment, disappointment and at times disgust toward Miles. As a result, every time we switched to Miles “six years earlier” I couldn’t muster an ounce of sentiment for his situation and ultimate breaking point… No surprise… I didn’t cry. Even more disappointing was that as Tate continued to allow Miles to treat her in such a degrading way (view spoiler), I started to lose respect for a character I had initially liked. I wanted to give Tate the gift of goodbye. I wanted her to leave Miles and not look back. I wanted her to preserve some self-respect. I wanted her to find someone else that was worthy of her. That was truly an emotional roll-a-coaster! At the end of the novel, I felt myself lose a connection with both Miles and Tate, which was disappointing because I wanted to enjoy their hard-earned ending, but by that point I truly had no vested interest in their conclusion. Okay, in the spirit of trying to salvage something good from this experience, I do have to commend Tate for never groveling. She never begged Miles to love her back, but at the same time she allowed him to treat her so poorly time after time. What I also liked about Tate was how self-aware and honest she was about herself and situation, I just wish she would have acted on some of her common sense realizations. As for Miles, I can’t ignore the fact that it never felt like he tried to be a jerk. I don’t think he meant to be mean, callous and hurtful, and I have to acknowledge that he experienced something tragic in his past that made him who he was. However, that was no excuse for his actions. He was just wrong. I struggled with his realization that came toward the end of the novel, and after he witnessed a reason to move on. By then, a part of me felt he was beyond redemption. I have more to say about that… but I’ll stop. Now that’s I’ve outlined my thoughts, I feel I can still justify a 3 star rating. Why? Because I’ve been thinking about this novel for a few days now, and if I take away my sentiment for the characters and their actions, I have to admit it was well written, captivating and engaging… I just didn’t like the emotions it evoked from me. Tate and Miles won't make my favorite fictional couple list, but that doesn't take away from the fact that they caught my attention and made me feel some pretty heavy emotions. Jude and her brother, Noah, are incredibly close twins. At thirteen, isolated Noah draws constantly and is falling in love with the charismatic boy next door, while daredevil Jude surfs and cliff-dives and wears red-red lipstick and does the talking for both of them. But three years later, Jude and Noah are barely speaking. Something has happened to wreck the twins in different and divisive ways . . . until Jude meets a cocky, broken, beautiful boy, as well as an unpredictable new mentor. The early years are Noah's story to tell. The later years are Jude's. What the twins don't realize is that they each have only half the story, and if they could just find their way back to one another, they’d have a chance to remake their world. This radiant, fully alive, sometimes very funny novel from the critically acclaimed author of The Sky Is Everywhere will leave you breathless and teary and laughing—often all at once. I first came across Jandy Nelson when I read her debut novel The Sky is Everywhere, which I absolutely loved! So when I saw this book at ALA, I knew I had to keep my eye on it. Well, the early reviews are looking good! And it's no secret I'll always in the mood for a good YA Contemporary novel, so I'll Give You the Sun is definitely on my list of must haves. I wish he would look at me the way that he looks at his subjects. Because he'd see there's more to me than shy, just like I see there's more to him than slacker. Josh smiles. He unbuttons my coat, places his fingers against my collarbone, and fishes out my necklace from below my dress. He holds up the compass. "Then we'll find the Right Way." What does not neatly fit into her organised life is a mother with a bombshell, an ex-best friend with an unfortunate liking for low-life boyfriends, a series of badly dressed, metallic-eyeshadowed teachers and a (very) friendly boy next door. First and foremost, I want to thank my long-time reading buddy Janina for sending me Raincheck on Timbuktu all the way from Germany. This book has been on my wish list for over two years now, and I am extremely grateful for the reading friends I’ve made here on Goodreads that go out of their way to satisfy my cravings. So, thank you… THANK.YOU Janina for sending me this gem of an Aussie book!! Now, it’s no surprise for those that know my reading preferences to share that I have a soft spot in my heart for Aussie YA. I’ve said this so many times, but it bears repeating… there’s just something about the realism and profound yet ordinary observations that I often find in these books that lend for a magical reading adventure. I find that many Aussies have this talent. They take the most ordinary of circumstances and thoughts, and weave them into a string of fictional musings that despite how basic or commonplace, I simply can’t help but connect to the moment and revelation. I mean, quite often it’s nothing groundbreaking… it’s just ordinary life… ordinary thoughts… ordinary observations that create that connection for me every time I read books in this genre. "I do go for that ‘believe in yourself’ stuff to a point. But I don’t know why, it’s much easier to believe when someone tells you that you have a reason to believe – or that you don’t. People don’t realize the power that they have over other people’s lives. You’ll always believe someone else before yourself." When I read these passages, I find myself stopping and contemplating what the author is conveying, and I love those moments of reflection. Raincheck on Timbuktu is no exception. This story introduces us to the narrator who is an Australian student in year 11 of her studies. She shares her life through letters to one of her best friends and journal entries she’s keeping for a class. In her story, there’s her mum, dad, brother, grandmother, a boy next door, four friends, an enemy, and a school coordinator that fill her life with every day mid-teen crisis moments. There are many that might find Lucy self-absorbed and at times a bit testy, but she knows that almost to a fault. But most importantly, she realizes that the worries on her shoulders pale in comparison to what’s happening in the world, and she appreciates the luxury of reveling her in teenage crises. What I loved most was the character development I witnessed throughout her narration. Lucy knows that she is at that age where anything is possible. She admits her faults and apologizes for her mis-steps. There’s without a doubt true growth in this character, and it was a pleasure to experience her journey. Aside from the main character, I have to applaud Kirsten Murphy for her flawless secondary characters. I loved how she weaved Lucy’s friends Krista, Sophie Meg, as well as Kate that is studying abroad in Canada. They added a whole new level of perspective on the troubles and struggles girls go through at their age. Another note-worthy character was Nick. What a gem! I loved his unassuming approach from beginning to end. All of these characters played their part to perfection, and it was a pleasure to meet them! Overall, I’m thankful I had the opportunity to read this book that is truly hard to come by. It was a story with heart, meaning and focus that despite the ordinariness of the plot, I connected to the characters in a way that I wish I could meet them in real-life. Great story! The hunt is on!Sixteen-year-old Bree Sunderland must inject herself with an untested version of her father’s gene therapy to become a werewolf in order to stop a corrupt group of mercenaries from creating a team of unstoppable lycanthrope soldiers.When Bree went with her scientist father to Ireland, she thought it would be a vacation to study bog bodies. She never expected to fall in love with a mysterious young Irishman and certainly never expected to become the kind of monster her father said only existed in nightmares. Dr. Sunderland discovers that lycanthropy was not a supernatural curse but rather a genetic mutation. When they return home, her dad continues his research, but the military wants to turn that research into a bio weapons program and rogue soldiers want to steal the research to turn themselves into unstoppable killing machines.Bree’s boyfriend Liam surprises her with a visit to the United States, but there are darker surprises in store for both of them. 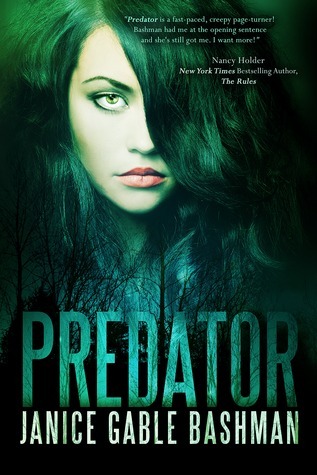 As evil forces hunt those she loves, Bree must become an even more dangerous hunter to save them all. After the death of her brother Troy, Bree is desperate to reconnect with her scientist father who hasn't been the same since he lost his son and went along with him to Ireland for the summer to help with his field study, researching a way to create a wound-repair serum to aid soldiers on the battlefield and linking it with the acid from the peat that preserve the flesh. But Bree had no idea what she stumbled on when she discovered a well preserved bog body and his mutated hand, or what she could have possibly unleashed. Well this was certainly different. I wasn't sure what I would expect when I opened this book, but I was really impressed with how fast I got into it. Predator is a thrilling, suspenseful and mysterious spin on werewolf lore that combines, science, archaeology and folklore mythology. I'm a really big fan of myths so it was pretty interesting to learn about the Benandanti lore and how it ties with the lycanthropy legend. I also loved the concept about a bog-swamp and the possibility of human life being persevered throughout time by the peat and then researched by biological anthropologist to uncover ancient truths. Add the greed and desperation of men who want to use this information to further success the war efforts by creating a super-solider army, despite the risks, and you got yourself one hell of a solid read. I loved Bashman's writing, you can tell she put a lot of thought and heart into this book. The action was fast paced and pulse pounding and the tone of the book was always kept at fascinating, rattling and shutter-worthy levels. It was like seeing everything unfold on the big screen in my mind. Very real, addicting and entertaining. I really enjoyed all of these characters. Each played their roles well which made it easy to like and connect with. Bree has a great voice, she's brave, strong, intelligent with a good heart. She may be a little to curious for her own good and a bit reckless, but I liked that she took responsibility for her role in the events that unfolded and tried to do the right thing no matter the consequences. Liam is one of those great book boyfriends who is kind and sweet and supportive. There was a moment near the end of the book when he approached Bree that stole my heart a little. It gave me even greater respect for him. However, I am curious, nervous and excited to see how things will play out for him in the next book all things considering. All in all, I had a really good time reading Predator. It's not your average werewolf book which was refreshing and I really enjoyed the scientific approach more then I thought I would. It's a bit mind boggling mind you, but I think that's what makes it such a fun experience. For fans who are looking for a new twist in the werewolf genre should have a good time with this one. As for me? I'm greatly looking forward to seeing what happens next! A fascinating and highly intriguing read. What landed in our happy hands! That's it for us this week! I hope everyone had an amazing week as well! Leave me a link so I can see all your pretties! Or at least, that’s what the paparazzi and crazy anti-cloning protesters want everyone to think: that clones are violent, unpredictable monsters. Cate is used to hearing all that, though. She’s used to standing up for her sister too, and she’s determined to prove her innocence now—at whatever the cost. But the deeper she digs for the truth, the further Cate's carefully-constructed life begins to unravel, unveiling a world filled with copies and lies, where nothing and no one—not even her sister— is completely what they seem. Falls the Shadow gives us an in depth look at what happens when families start investing in clones. These clones are stored in a lab where daily information and memories are downloaded into their CPUs or "brains" so that if an accident happens and the human dies then the clone can pick up right where the human left off without messing a beat. Imagine having someone waiting in the wings to take your place *shudders* yeah I thought it was creepy too. I have to say this whole idea scares me and intrigues me at the same time. I mean to really have someone or something rather just waiting for you to die so it can take over is just creepy. Cate knows this isn't right but there is nothing left to do after her older sister Violet dies. When her parents pick up the new Violet things for her family just get worse instead of better. Did I mention that Cate's dad is the Mayor? Yeah that really puts her whole family in the spotlight especially since so many people are against cloning. There are many who stand against this idea of cloning and they make sure their voices are heard. The CCA was founded because they go against everything Huxley (the creators of the clones) are trying to do. They know something isn't right, but they just don't know how bad things really are. The story really takes off when Violet flees and Cate starts really questioning if clones are a good idea. She learns a lot of things that I don't want to spoil but if you've seen movies before you know that sometimes good clones don't always stay that way. I did enjoy this story but I am left with a bunch of questions. For instance what happens to the clones who aren't used? Why do these clones seem to be super powerful? Why didn't Cate's parents try and make things better for her? Those are just a few, but I really do have so many more. I liked the idea behind all this but the plotholes needed a bit tightening to make me totally believe. I especially want to know what happens to the clones that aren't needed. Are they disposed of? All that money spent I can't see them destroying them. I really really want to know! Cate has to find her sister after a tragedy strikes another classmate. What Cate learns though is that nothing is as it seems and her world is about to flipped and I mean the my sister tried to kill me flipped. Cate was a unique character. She really couldn't trust anybody and the one time she lets someone in they betray her. I really felt bad for her. I did appreciate that she stood up for herself though and she did what needed to be done most of the time. The only thing that truly bothered me about her was her inner monologues. They got to be repetitive and I got really tired of reading about how she liked Jaxon. Yes I know he was the romantic interest but I don't know for me all these thoughts just took away from the story. I would have preferred to have the romance take a back seat and learn more about the story and or history involved with the clones. Okay and what was up with Seth having so many guns and weapons?? I don't buy that a 16 year old would have access to so much artillery. That part really needed to be explained and honestly I could have done without it. Overall though I did enjoy this story and if there is a sequel planned I would read it seeing as how the romance fixed itself and the story should take center stage. The author has very unique ideas and really has created an interesting world. I first read The Giver by Lois Lowry back in 2011 as a reading challenge, so when I saw the movie trailer, I was excited to add it to my watch list.. Well The Giver releases tomorrow, August 15, 2014 in major theaters, so I thought I'd share a bit about the book, my original review, and the movie trailer. Enjoy! Amazing, thought-provoking story that will linger in my thoughts for a long time. This book paints a daunting picture of how unsettling it can be when a society strives to make everything perfect and constant. There’s a lot to think about when it comes to this book and to say it comfortably resides within the dystopic genre is an understatement. The Giver by Lois Lowry is a gem in its own right, but at the same time the themes presented here are the sort of Pleasantville I would hope can never be achieved. This story takes place sometime in the undetermined future when climate changes and unpredictable weather created a perception that Sameness was needed to achieve order. Things like hippos, elephants, birds, etc. are regarded as imaginary animals and the presence of love, colors and history are hidden from society. In this story, people have lost the ability of choice. Everything is decided for them from their mate, family unit, job, even down to the loss of ability to experience a Stirring. I won’t dive into that one because it gave me the creeps. By eliminating the option to choose, people can avoid making mistakes, but that perceived value is challenged when Jonas is singled out to receive the memories of true emotion and the pleasures of life. He goes on a quest to seek the truth and a course of events begin to unfold that threaten the balance of constancy this society has worked so hard to achieve. As I was reading, my purchase receipt slipped out of the book, and I noticed I bought this book back in January 2009. Thank you to my long time reading buddy Flannery for challenging me back in 2011 to dust of this book and give it the attention it deserves. Great choice! 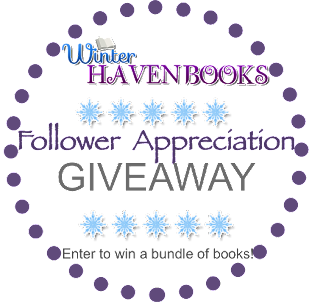 Amazing Author Event Announcement & Giveaway! !